The Vatersay Boys are a Scottish folk band from the isles of Vatersay and Barra. 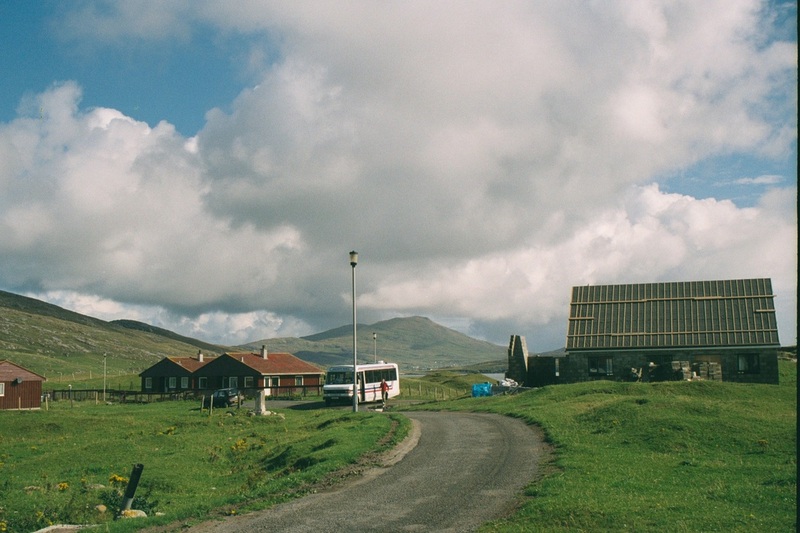 Vatersay has the most Westerly and one of the smallest Post Offices in Scotland, though Dores, Loch Ness and Poyntzfield, Jemimaville in the Black Isle may be smaller. The Post Office is housed in the small outbuilding in the photo below. 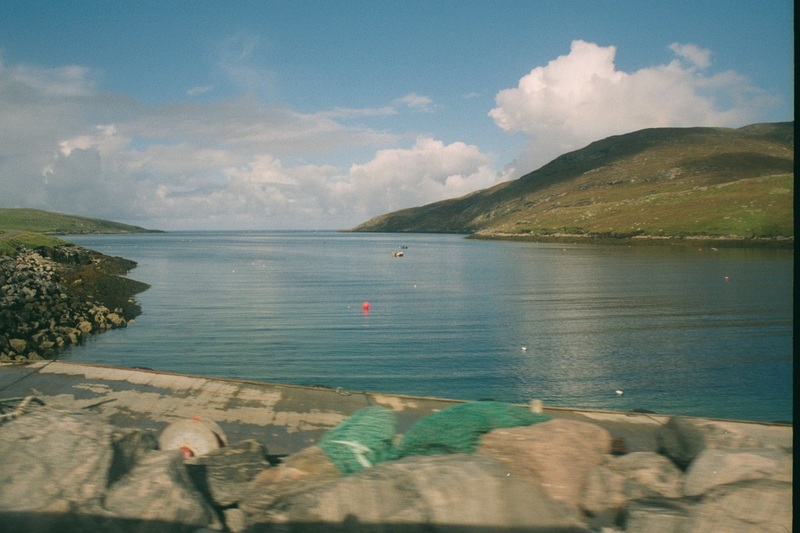 Vatersay (Bhatarsaigh) is the most southerly of the inhabited Western Isles - linked to Barra by a causeway since 1991, and it is heavily dependent on its larger northern neighbour for most services. 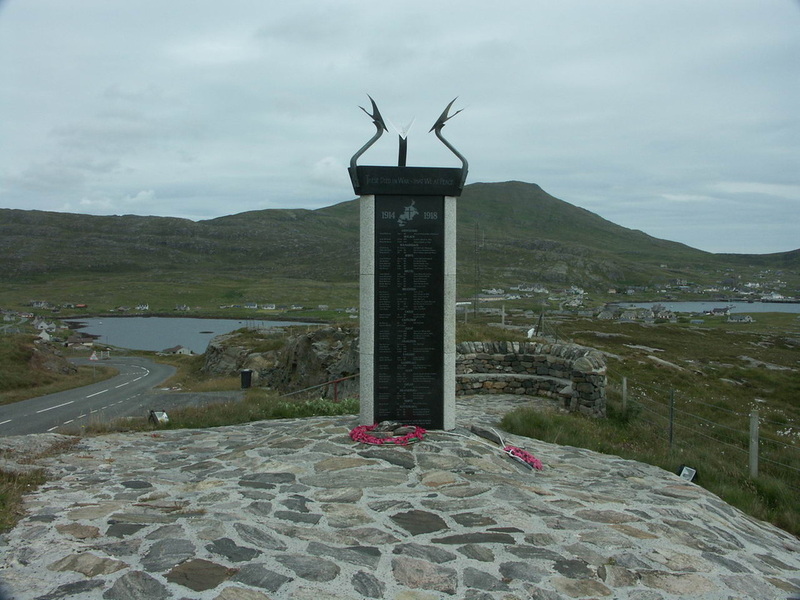 Its main settlement is also called Vatersay, but the population of the island is less than 100. The causeway should at least prevent Vatersay going the way of the more southerly islands, Sandray, Pabbay, Mingulay and Berneray (aka Barra Head) - all of which were evacuated between 1912 and 1934 and have remained uninhabited ever since, though their was a lighthouse keeper in the Barra Head lighthouse until 1980. Vatersay was uninhabited in 1906 when some of the inhabitants of Mingulay left their island and settled there - initially against the wishes of the island's then owner, who wanted to keep it exclusively for sheep. By 1912 Mingulay was abandoned entirely for the more hospitable Vatersay. The three most southerly islands (aka the Bishop's Isles as they belonged to the Bishops of (the Isle of) Man until 1266) have been owned by the National Trust for Scotland since 2000. See also Lonely-Isles.com pages on Mingulay and Berneray. Open Cycle Map Bing Map Sustrans Map (search Vatersay, Western Isles). (Some Maps may give place names in only Gaelic or only English, so spellings may vary - in some cases the alternate spelling is in brackets). The Barra Bus service provides a link from Castlebay, if you want a break from the bike. For other travel details see Barra. 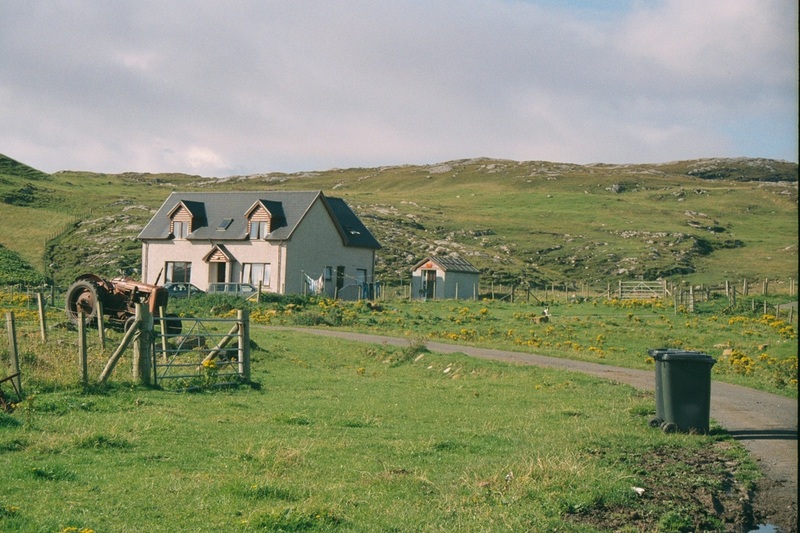 3 Self Catering sites - see Isle of Barra website. Banking - RBS in Castlebay, Barra with ATM.